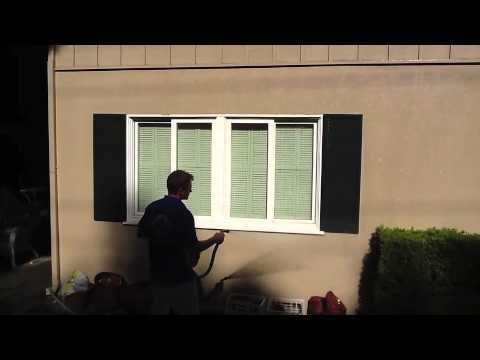 An example of a regular service from Paul’s Professional Window Washing. Paul’s Professional Window Washing Inc. has been specializing in residential window cleaning for 30 years offering a clearly superior service to the greater Los Angeles Area. Paul’s rigid standards of excellence have always ensured the job will be done right! Paul’s has been the #1 rated window cleaning company in Los Angeles for the last 5 years now with the “Franklin Report”. Paul’s reputation has landed him many celebrities like, Keanu Reeves, Mathew Perry, Miley Cyrus, Kevin Costner, Nicholas Cage, Robert Redford, Pierce Brosnon and more. Paul’s Professional Window Washing Inc. has the experience, the equiptment and the expertise combined with the highest levels of professionalism in the window cleaning industry today. We specialize in window cleaning, pressure washing, gutter cleaning and screen repair for your home or business in the greater Los Angeles County area. Thank you very much for uploading video of window cleaning.